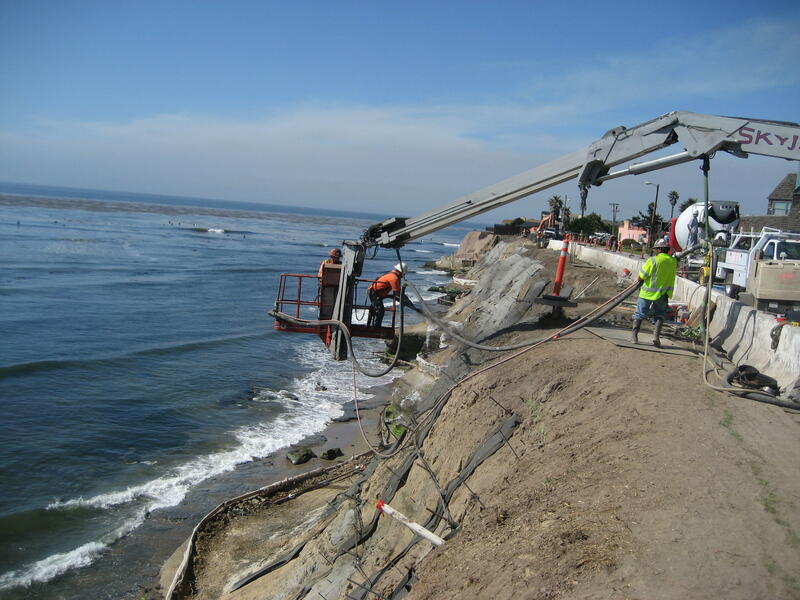 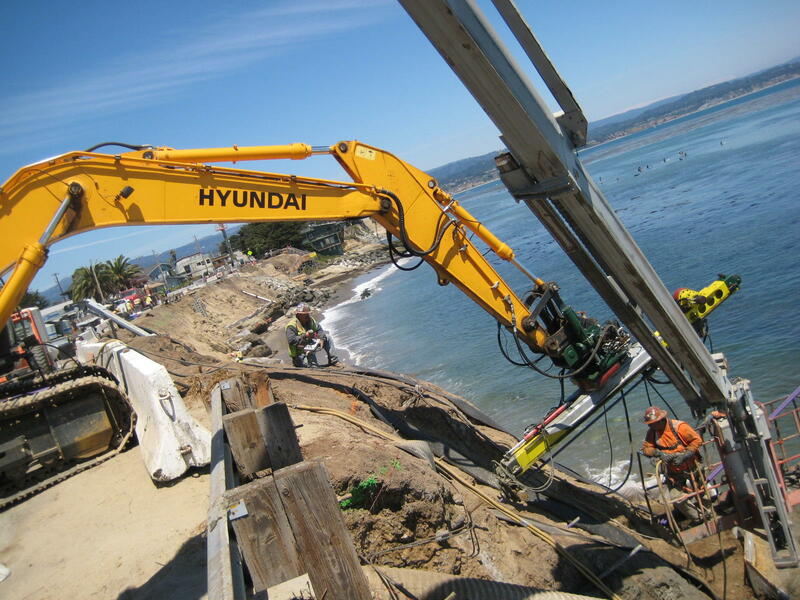 Provided construction engineering services to high profile, environmental sensitive cliff stabilization project in Pleasure Point area of Santa Cruz. 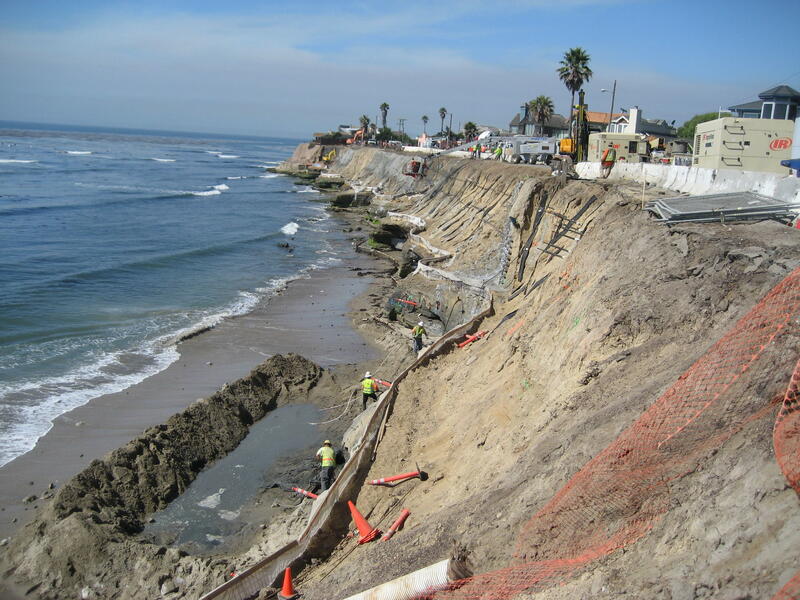 The project consists of 60,000 square feet of soil nail/shotcrete bluff stabilization structures, three concrete beach access stairways, and existing rip rap removal from the beach. 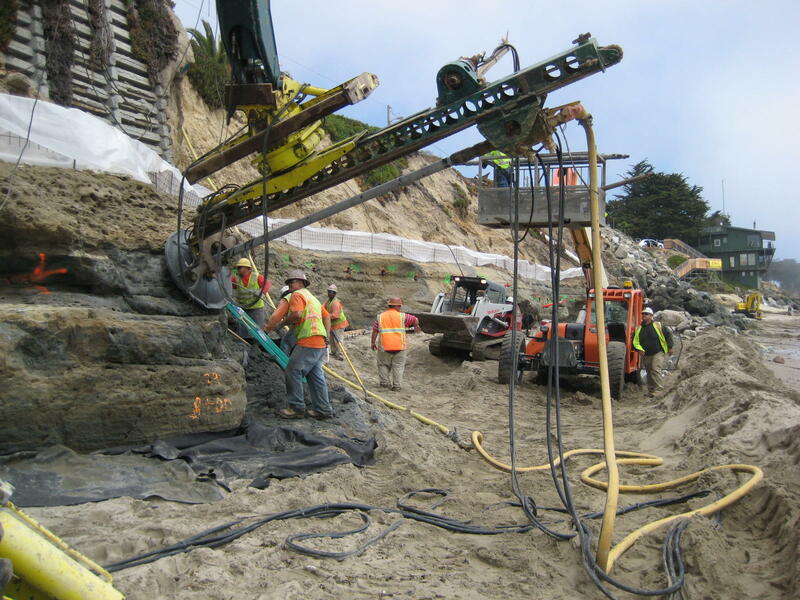 701 Ocean Street, Room 410 Contractor: Drill Tech Drilling & Shoring, Inc.